The work on the iconic Dubai Frame project adjacent to the Stargate theme park in Zabeel started in December 2013. The implementation of the Dh160 million project, a window-shaped structure that will give panoramic views of old and new Dubai from a 150 feet-high glass bridge, was ordered in July 2012 with a plan to complete it by end of 2013. In May 2013, the municipality said the project would be completed by the end of 2014. However, the civic body said the unique structure was expected to be ready by the second half of 2015, after a one-year delay. Now the completion date is set to be within 2016. The tower is located at Zabeel Park. The Dubai Municipality conducted extensive studies and research to identify the most ideal location for the project. It was after an intense study and extensive consultation that the location was decided — near the Stargate of Zabeel Park — which is a famous point for visitors and tourists. Stargate, an edutainment theme park, is located near the Gate 4 of Zabeel Park in the heart of Dubai. 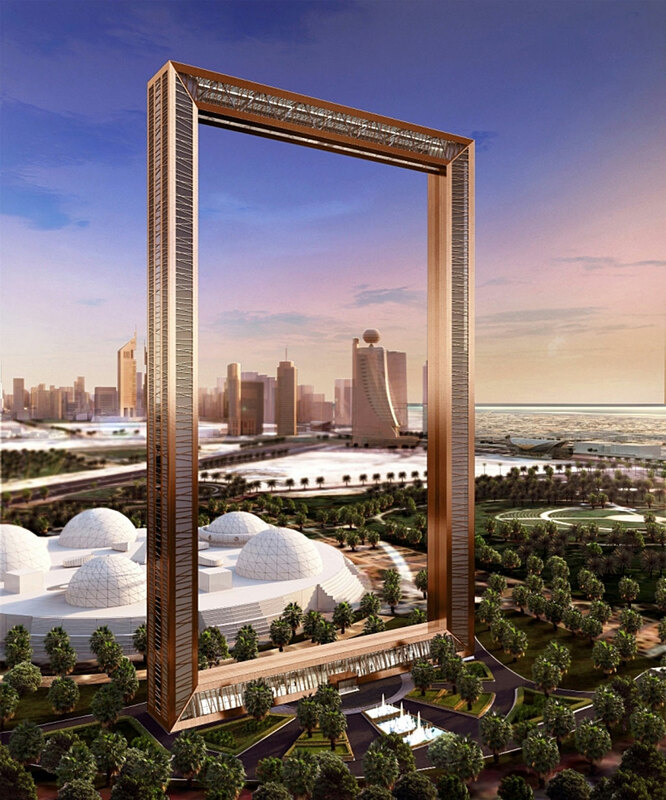 Dubai Frame will become one of the most attractive tourist destinations of Dubai, which will bring around 2 million visitors per year from across the globe. It is expected that it will bridge the past and future of Dubai and may become a name linked to Dubai like Burj Khalifa and Burj Al-Arab. The conceptual design proposal of the tower by Fernando Donis of the Netherlands was among 926 entries for the 11th ThyssenKrupp Elevator Award and had won $100,000.